Amazon.com description: Product Description: This is the second edition of Robert Pratten's massively popular Getting Started in Transmedia Storytelling. It's a practical guide to developing cross-platform and pervasive entertainment written by a thought-leader and early practitioner. Whether you're a seasoned pro or a complete newbie, this book is filled with tips and insights gained from years of work in multi-platform interactive storytelling. 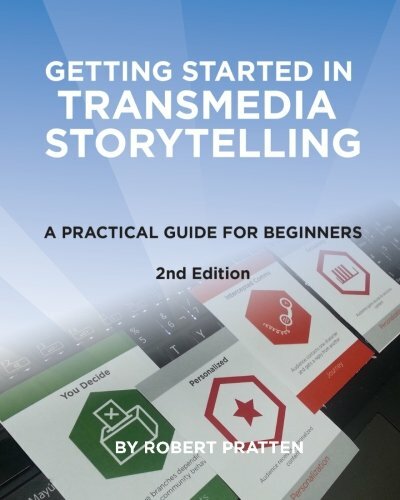 About: This is the second edition of Robert Pratten's massively popular Getting Started in Transmedia Storytelling. About: Getting Started in Transmedia Storytelling is a practical guide to developing cross-platform and pervasive entertainment.